We are committed to respect the privacy of our customers by not making it public. Our cleaning company Hillingdon maintains your personal data and can use it to communicate with you in the future. We will store your personal data in a network area protected by a firewall. 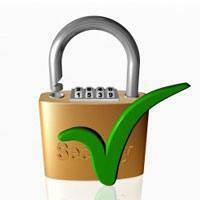 The main aim of this is to prevent unauthorised access or improper use of your personal details lying with us. You are assured that we will not pass on any of your personal details to third party, irrespective of what they intend to use it for. In case of change in client’s personal details or if they do not wish to receive our newsletters and emails about our cleaning services, client is requested to communicate this through email. We try our best to respond quickly and accurately to your email queries however, we hold the right to not to answer your queries. The queries and answers by no means form a contractual relationship between the cleaning company and clients. Moreover, the company is contractually accountable for the given responses. Local Hillingdon Cleaners in no case is liable to you for any direct, indirect, or any other damage howsoever causing from the use of our website or any partner websites through a hypertext link or else. This website and its contents are the copyright of Local Hillingdon Cleaners. You are permitted to use the content of website to your local hard drive by means of downloading. You can also copy the content to a third party entity, provided if you acknowledge this website as the source of the material. We can be reached on our telephone line: 020 3912 1189 for inquiries on our cleaning services and cleaning prices.